Just a quick reminder to all our site members that Mother’s Day is coming up real soon, it’s May 8th!! It seems like this year is flying by to me but as I have always heard, the older you get the faster time goes by and I believe it! I wanted to update everyone on what is going on with us since it has been awhile since I did a post. 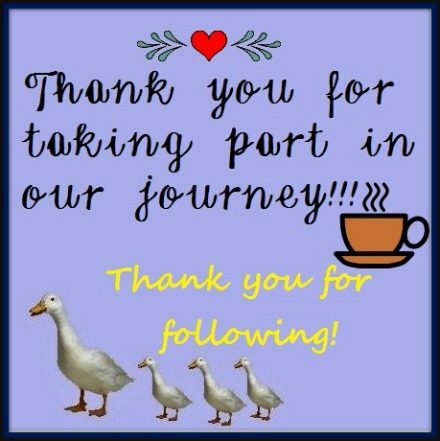 First of all, I want to thank you all for your loyalty, comments, shares and participation because that is what keeps us going here at The Southern Lady Cooks. Please continue to share recipes on Facebook as this keeps us in your news feed and helps new people to find our site. We could not do this without our fans. My daughter, Anne Parker, is now doing so much to keep our site up and running and to help me with the posting, monitoring Facebook, answering comments, etc. In fact, she does the biggest part! I come up with the recipes, send them to her and she does the biggest part of the work. I do the “Good Morning” posts on Facebook and totally enjoy saying “hello” to everyone everyday. She also takes care of all the cookbook publishing and sales. Anne is now doing the light recipes we have been posting. Anne’s sister and twin, Leigh Harper, does the marketing. Never did I dream when I started our website in 2008 it would grow so much but that is because we have such great people on here and many have been with us since the beginning. It keeps the three of us busy! Here is a picture of Anne Parker and Leigh Harper. Do you think they look alike? lol. The first time I saw this photo, it confused me! They will kill me for telling their age but they will be 39 this year. They live on a farm here in Kentucky with their horses and dogs. Leigh Harper is engaged to a wonderful guy and planning a wedding in the future. Recently, we have some new people on the site that have asked about me. Here are 3 links that will tell you about me and how this site started, etc. : About Me, How I Learned to Cook, and You Asked For It. I am doing well, just older, but blessed to be healthy and still active. I still mow my yard with a push mower and don’t take any medicine. I still love good Southern home cooking and eat about anything I want but just in moderation. I believe that age is a state of mind and you are only as old as you feel. I will be 71 years young this year but don’t feel it and thankful for that. We have been very fortunate in the past year to be featured in two magazines! You can read about that here: The Southern Lady Cooks featured in Taste of the South Magazine and currently we are featured monthly in Tops in Lexington here in Kentucky. You can read about that here: The Southern Lady Cooks in Tops in Lexington. The photo below is of me being photographed for Taste of the South Magazine. We want to thank you for making our cookbooks so successful. You have given us great reviews and we are so happy you like them. We hope you will have them for many years to come and will hand them down to family members. Each book has over 150 great recipes that you will make many times and will become your favorites. Lots of classic Southern recipes, too. Some of you have ordered both and come back to order for friends and relatives. Our cookbooks would make a wonderful gift for Mother’s Day or give yourself a gift! Click here to order: Order our Cookbooks If you have a friend who owns a small gift shop or boutique in your state or town, we would love to place our cookbooks with them and will be happy to discuss our wholesale prices. Just contact Anne Parker at [email protected] We will also list their business on our order sheet as a place where our books can be purchased. We are just starting our wholesale business and would welcome your inquiries. Thanking you for subscribing to our e-mail that gives you prior notice of all new recipes! We now have over 25,000 subscribers. You can sign up on the right hand side of any page on our site by submitting your e-mail address. We often post tips and articles that are not posted on Facebook and this gives you notice of all posts. We have over 29,000 followers on Pinterest and 72 boards. Click here to follow us: The Southern Lady Cooks on Pinterest. We are also on Twitter here: Follow The Southern Lady Cooks on Twitter. So many of you have said something about how to print recipes. There is a little picture of a printer under every single post. If you click on that little picture, you can remove the photo and any text you don’t want and print just the recipe. I think this just about covers everything. If there is something I missed, you can always e-mail us at the address above. We always enjoy your comments and love hearing from you. It makes our day to hear you enjoyed a recipe. I have been on the site so long that I recognize many of your names when you comment. I feel like we are a great big community of friends greeting each other every day and discussing recipes and such. I hope you all have a wonderful Mother’s Day and am so thankful to have you here. CATCHING YOU UP AND THANK YOU! Thank you so much for allowing us to remove pictures and print just the recipe; it sure saves on ink! Thank you Sandy! I always recognize you when you make a comment on my site as being with us for a while. I appreciate your comments and am happy to have you here. It is our loyal fans like you that make all the hard work worth it. Please keep in touch and so happy you enjoy the recipes. KEEP ON COOKING! Thank you so much Sue. So happy you enjoyed the post and happy to have you on the site.